Lachenmeier supply not only pallet stretch hood and shrink wrapping machines, but also film and service. Our emphasis is on getting familiar with your line of business and on understanding your packaging requirements in order to find the best possible solution. Our solutions are based on our consultative approach evaluating our customers existing packaging line, generating ideas and helping customers in formulating their needs and requirements to their packaging. 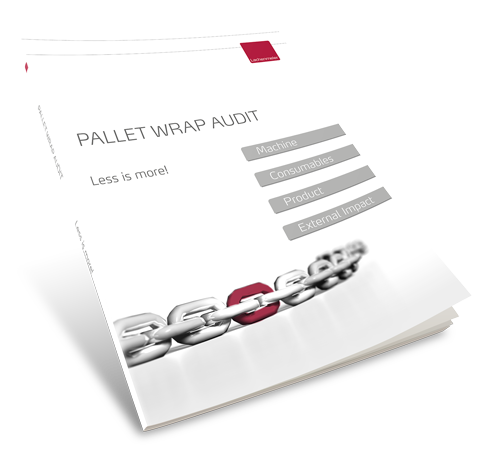 Should be interested in an assessment of your existing packaging in order to find possible savings or improvements to your process, sign in for a free pallet wrap audit. With Lachenmeier smartpack we offer our customers guaranteed packaging costs, higher availability on their packaging line, less scrap, possibility of less maintenance staff, and finally no transfer of responsibility as you will have only one contact person. Lachenmeier smartpack is machine, film, and service. Read more about the elements in our smartpack solution by clicking the images below or download our brochure.